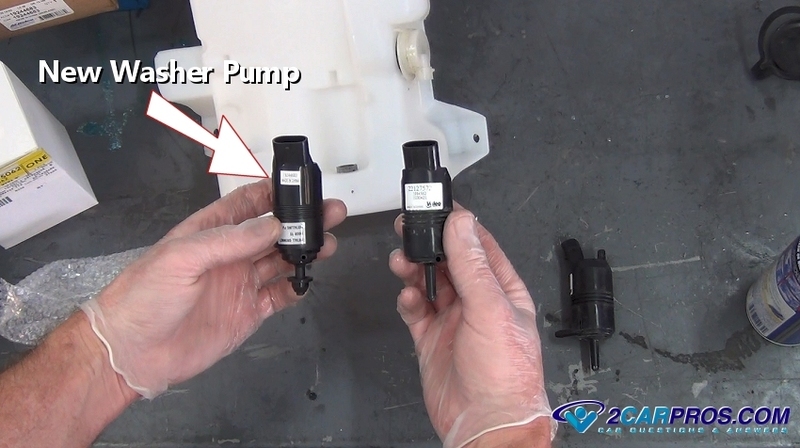 Easy step by step guide on how to replace a washer pump and reservoir, though configurations may vary, the process is similar for most vehicles. 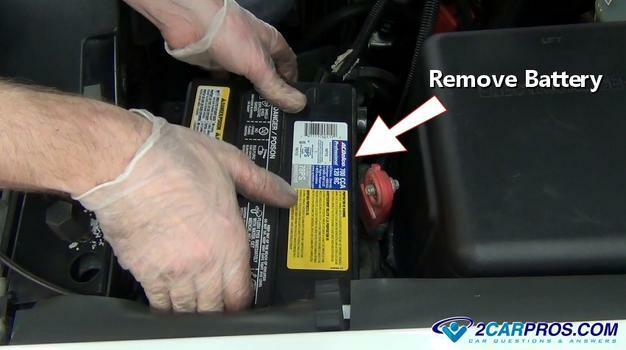 (Chevy Tahoe is used in this article). 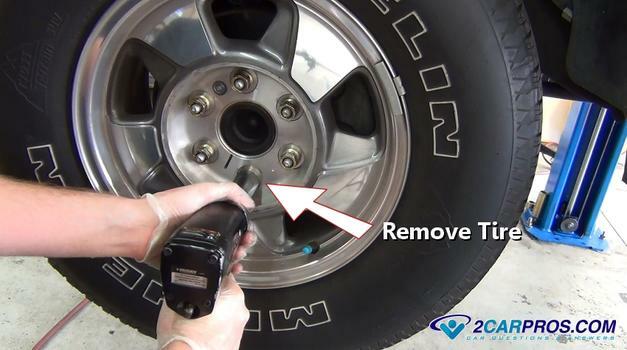 Begin with the vehicle on level ground, engine "OFF" and the transmission in the park position with the emergency brake set, using a basic set of tools while wearing safety glasses and gloves. 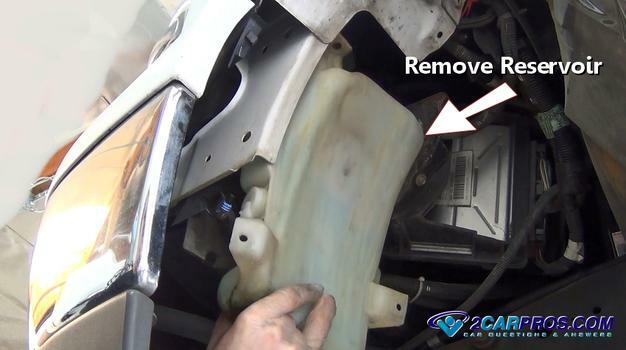 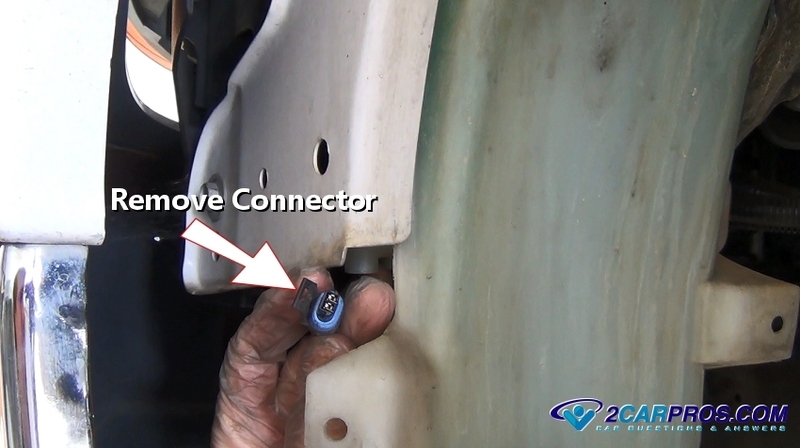 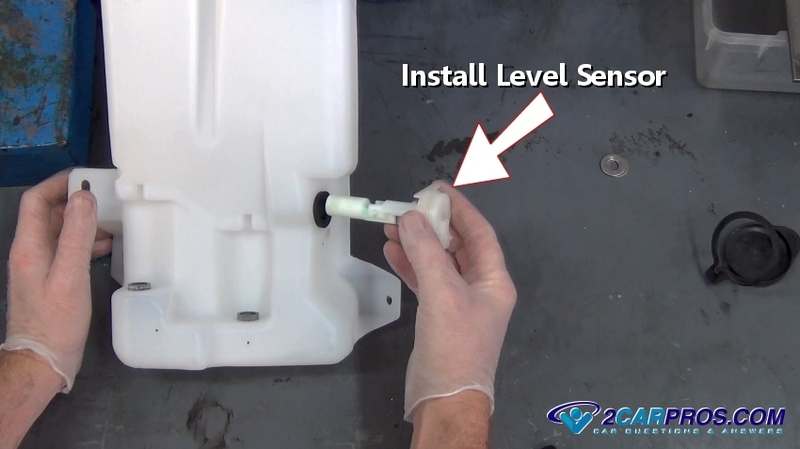 Step 1 - Locate the washer fluid reservoir, the pump will be attached to the bottom of the unit. Step 2 - Depending on design, the reservoir location will vary, it could be below the battery or some other component, in this case, remove the negative and then the positive battery cables. 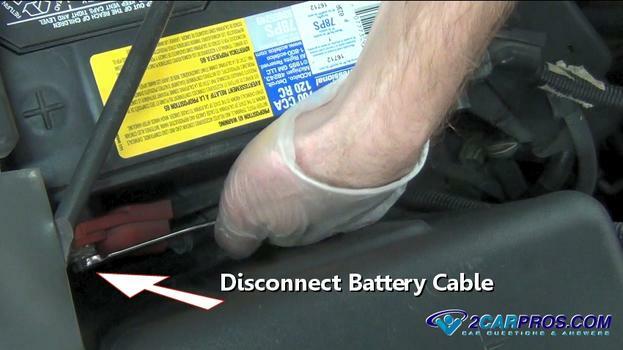 Step 4 - Once the battery has been removed, use a socket to remove the battery tray bolts. Step 5 - Remove the battery tray to expose the washer reservoir. 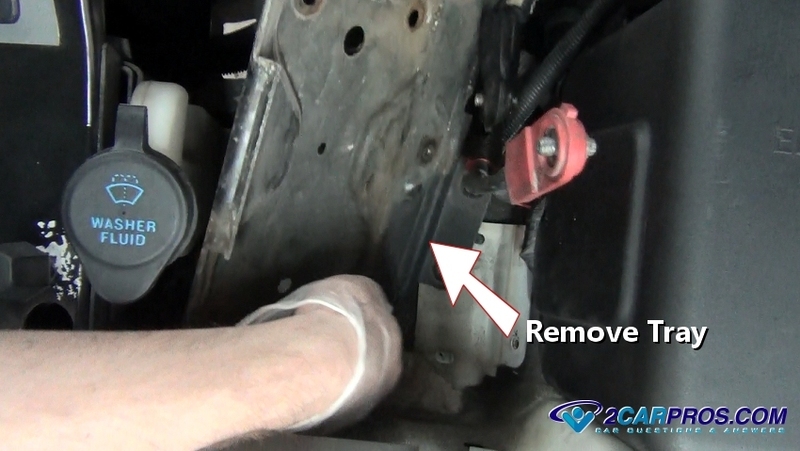 Step 6 - Locate washer fluid tubes and release the clip which hold the lines in place. 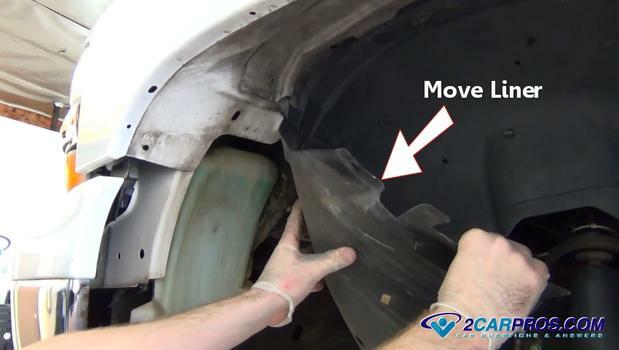 Step 7 - In some cases the tire will need to be removed to gain further access, lift the vehicle safely before this step. 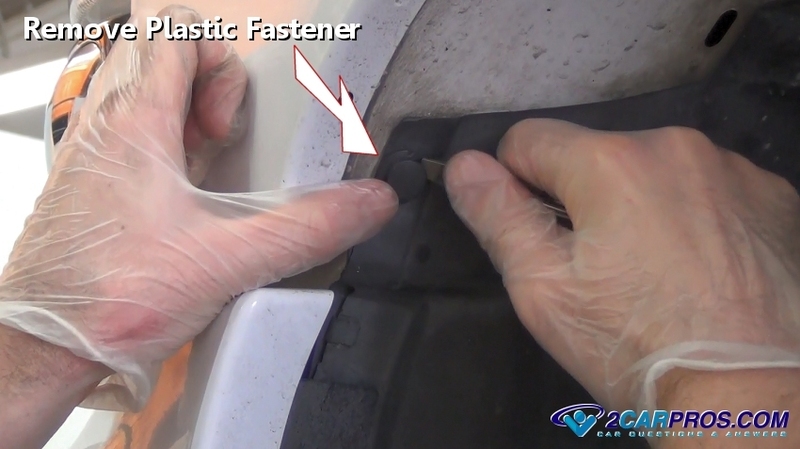 Step 8 - After the tire has been removed, release and remove the plastic fasteners holding the fender liner in place. Step 9 - Move the fender liner back out of the way to allow access to the reservoir. Step 10 - Locate and remove all but one of the reservoir mounting bolts, the container will become loose but not come out, leave the remaining bolt loose. 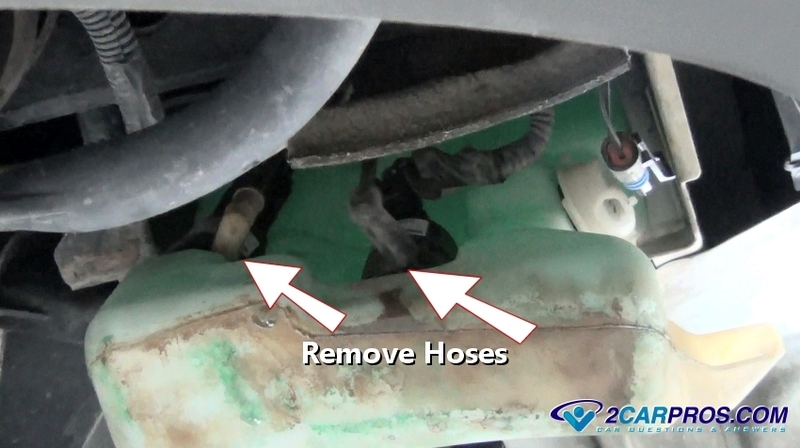 Step 12 - Locate the fluid pump output hoses and remove, washer fluid will start to leak which is normal. 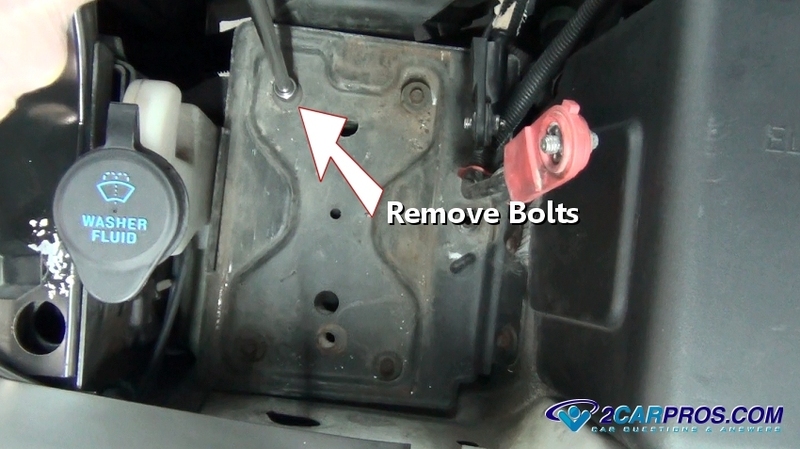 Step 13 - Remove the last remaining mounting bolt and lower the container from the vehicle. 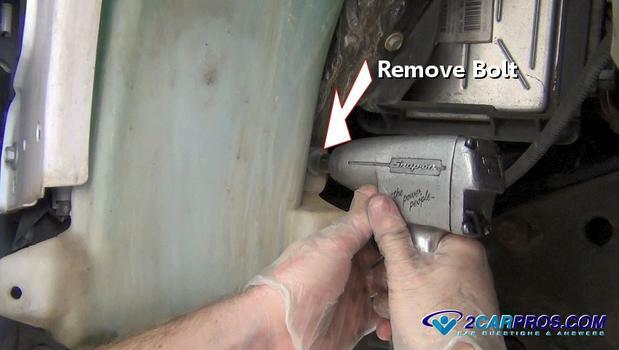 Step 14 - Match the old unit to the new washer reservoir to ensure a proper installation. Step 15 - If only the fluid reservoir is being replaced, remove the washer pump motors motors from the old container. Step 16 - Remove (pop) the fluid level sensor which is located in the side of the reservoir container. 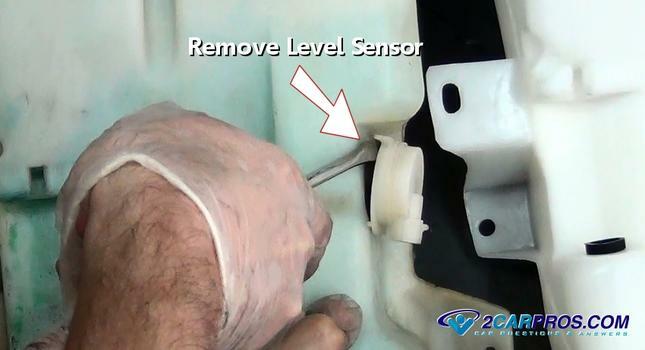 Step 17 - Inspect the level sensor for damage, then install the sensor into the new container this will require lubricant. 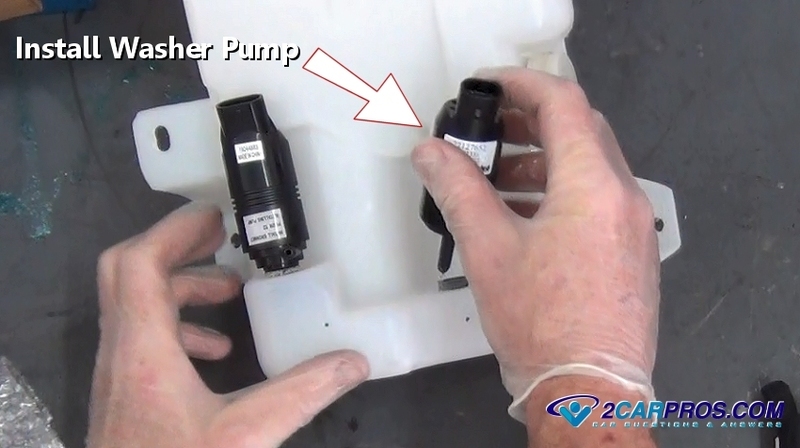 Step 18 - Match the new washer pump motor to the old pump to ensure a proper installation. 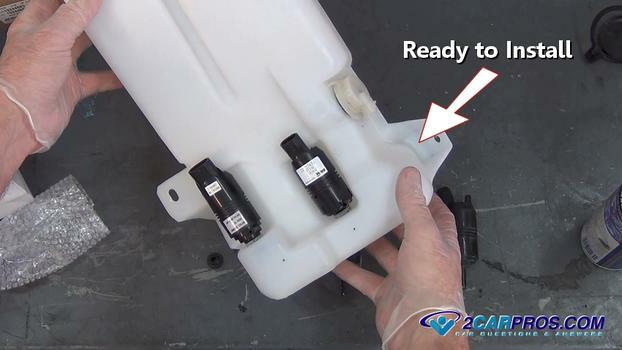 Step 19 - After matching the new pump motors to the old, install the new motors into the container. 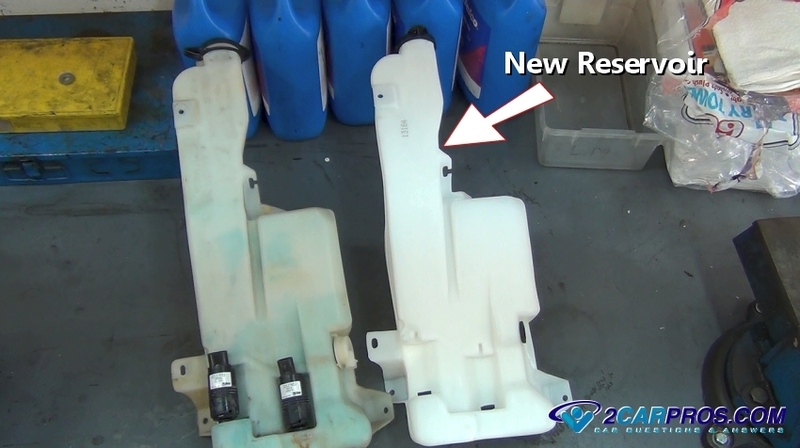 Step 20 - Now the new reservoir and fluid pump motors are ready to be installed, simply reverse the order in which they were removed and refill with new washer fluid. When replacing the reservoir or pump motors clean out the spray nozzles to help the spray pattern and flow of the washer fluid. 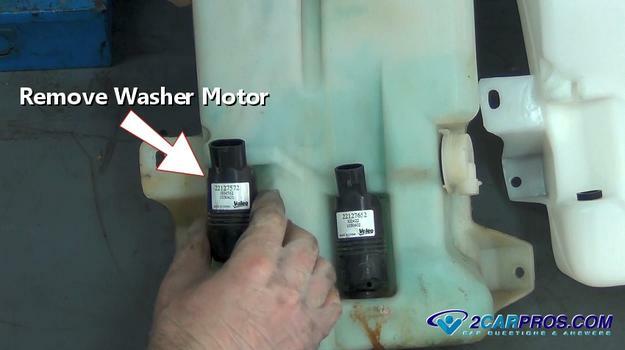 If the spray is not working listen for the pump operation, a hose or nozzle could be clogged stopping the fluid flow, check the washer system fuse before replacing the pump motor. 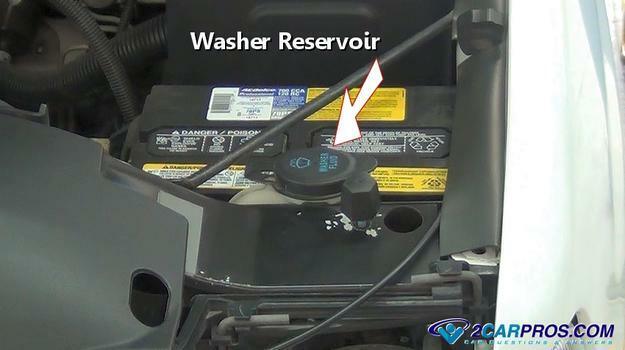 When replacing the washer fluid pump, be sure to clean the reservoir thoroughly to ensure proper pump operation. 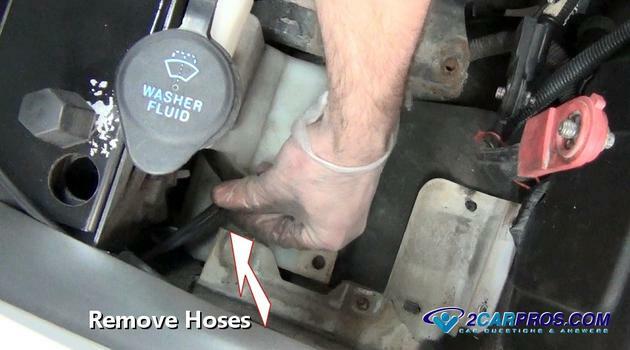 Use compressed air to blow clean the washer fluid lines and nozzles. If further assistance is needed, our certified technicians are ready to answer your car repair questions for free.